The Learning Supports department provides consultation, assessment, and interventions to all 39 schools for students in school aged 3 to 22 years. The degree of services offered vary by age-groupings and professionals. Team members provide professional development on a variety of topics for students, staff, parents and communities. 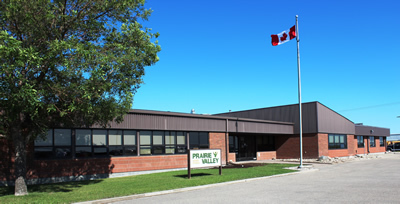 All students in the Prairie Valley School Division have access to social work/counselor services that are age appropriate. Occupational therapists (OTs) consider a child’s occupation at school to be learning (academics & social). The ability to focus and learn and the subsequent academic success can be impacted by physical, developmental, sensory and visual perception challenges. When a child is not reaching their full potential because of concerns with gross motor, fine motor, visual processing, ocular motor, sensory processing or self-regulation skills, an OT will join the multi-disciplinary team to problem solve and program plan for that child. Psychology team members provide support for individual students, teachers, parents with knowledge to understand academic and behavior issues. Psychology team members provide a variety of assessment tools and can offer referrals to other professionals and agencies to best support the needs of students. They may also offer assistance in future planning for post-secondary education and/or work life. The goal of the prevention, intervention, follow-up service delivery model and a collaborative team approach is to work together, to share skills and knowledge in areas of expertise and to make appropriate educational decisions for all students. A Speech-Language Pathologist provides language and reading development and support to the classroom. Speech-Language Pathologists will determine student needs, provide literacy skills for students, and focus on early intervention. Emphasis will be placed on developing phonemic awareness skills, kindergarten to grade 3 speech and language intervention and prekindergarten students. The consultant for inclusion and complex needs provides direct support and training to school-based staff working with students who have complex and significant learning needs and require intensive supports.